Rudkav International is a leading producer of POS paper rolls that are increasingly used by a large number of retail outlets including utilities like public transport among others. This kind of paper roll is intended for fast and efficient generation of cash receipts at the POS (Point of Sale). Before POS printing machines came into the retail outlets, cash receipts used to be written on pre-printed and perforated sheets that used to be bound into little receipt books. In most cases, the merchants used a carbon paper to retain a duplicate for accounting purposes. The process of generating hand-written cash receipts is a very slow and tedious process and it resulted in considerable losses to the retail outlets as customers don’t like to wait long for their receipts. 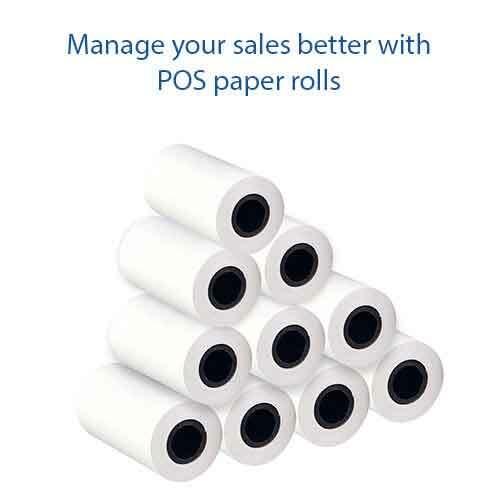 Today, the POS machine paper rolls that are used in retail outlets generate instant cash receipts with every necessary detail of the transaction. This is the major difference between these highly advanced printers generating instant receipts and the old pre-printed receipts on which the retailer had to write to generate the receipts. There are different types of POS paper printers that retailers across different POS locations use. The retail super stores as well as smaller medium sized stores as well as the corner stores, they are likely to have coated 2-ply or 3-ply bond paper rolls fitted on printers connected to the cash register. Alternately, they may have thermal paper rolls fitted to thermal paper printers connected to the cash register or fitted to portable hand-held thermal paper printers. Printing on the thermal paper takes place through heat transfer while on the bond paper it happens through impact printing with ink. Rudkav International is a leading name in the POS paper rolls market both within and outside India. We’re already supplying to some of the biggest retail businesses and are getting repeat orders from many for the quality of our POS paper as well as for the punctuality of our delivery. Moreover, our thermal paper is free of BPA (Bisphenol A) coating and is hence considered to be one of the safest thermal papers of its kind. It needs to be noted that exposure to BPA is known to cause many serious health conditions like cancer, as well as kidney and lung diseases among others. Established in the year 2011, Rudkav International Pvt. Ltd.manufactures a range of Cash Register Rolls, Billing Paper Rolls, Plain Thermal Paper Rolls, Carbonless Cash Rolls, Pre-Printed Thermal Rolls and much more.